An artificial intelligence system devised by Daniel Lobo and Michael Levin from Tufts University has reverse-engineered the regeneration mechanism of planaria. It’s the first time a nonhuman intelligence has been set with the challenge of investigating the complex regulatory networks required for this extraordinary and mysterious biological feat. The results of the study, which can now be found at PLOS Computational Biology, represents the most comprehensive model of planarian regeneration found to date. 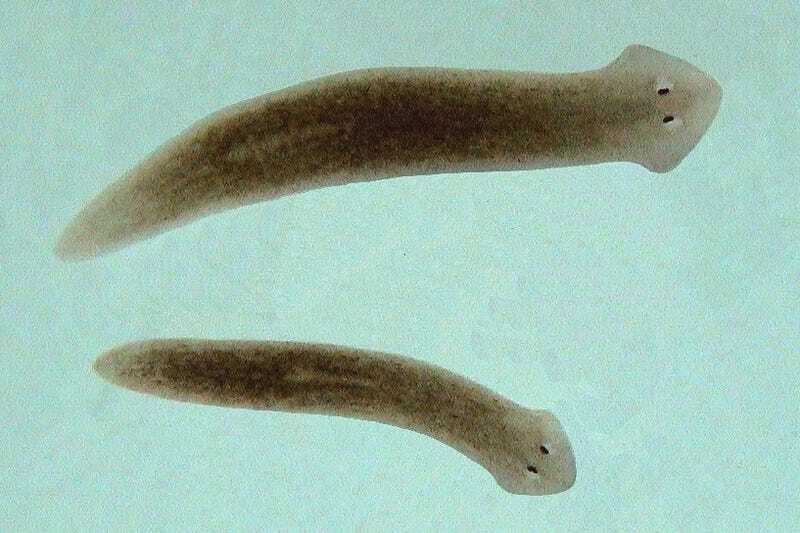 For well over 100 years, scientists have wondered how planarians perform their regenerative parlor trick. Prior to this study, biologists had identified the basic genetic components required by planarians to reproduce missing body parts, but they struggled to understand how these replacement parts were able to appear in the correct size, shape, and orientation. So while they understood how planarians produced new tissue, they were at a loss to explain how this tissue morphs into perfectly formed body parts. Levin says that most models show some requirements for the process to happen, but not the sufficient dynamics required to produce the precise shape of body parts in a coherent step-by-step manner. ...Levin and Lobo programmed the computer to crunch through the big data gathered from the many studies performed in this area. It simulated the network formed by a worm’s genes many times over until its results matched those from real-life experiments. Every time it managed to match the results, the computer modified the random genetic network it had created in line with the results and kept honing it until it created a core genetic network that matched the results of all the studies. This took three days of trial and error guessing and tweaking — an approach that would be unfathomably inefficient if it were implemented by humans. Over the course of the experiment, this evolutionary approach allowed the scientists to reconcile the existing literature as it pertained to head vs. tail regeneration. While the artificial intelligence in this project did have to do a whole lot of computations, the outcome is a theory of what the worm is doing, and coming up with theories of what’s going on in nature is pretty much the most creative, intuitive aspect of the scientist’s job. One of the most remarkable aspects of the project was that the model it found was not a hopelessly-tangled network that no human could actually understand, but a reasonably simple model that people can readily comprehend. All this suggests to me that artificial intelligence can help with every aspect of science, not only data mining but also inference of meaning of the data. Read the entire study at PLOS Computational Biology: “Inferring Regulatory Networks from Experimental Morphological Phenotypes: A Computational Method Reverse-Engineers Planarian Regeneration”.